Thanks to all for reading my Blog! I have been looking at the Stats page on my Blog and find it fascinating to see where people live who are reading my blog. It makes me feel great to know that I am reaching other countries around the World. Sometimes when you are writing posts you wonder if anyone is reading them or if they are being sent off into the ether and floating around waiting for someone to read them. With the stats I can see where people are. So I just wanted to say thank you for reading what I write and I hope you enjoy my posts and please keep reading. If you feel like leaving a comment or two that would be great as I would love to hear from you. This entry was posted in My Blog on June 16, 2011 by scullybooks. This afternoon was Eldest Son’s last exam! We now have the anxious wait for the results and they won’t be out until August 25th, three days after he turns sixteen! On the way home in the car he and his friend (can we Garreth a lift home?) were talking about the summer now they have finished and that they have a twelve week holiday, despite having to go in for four days about the new school year next week and the week after. 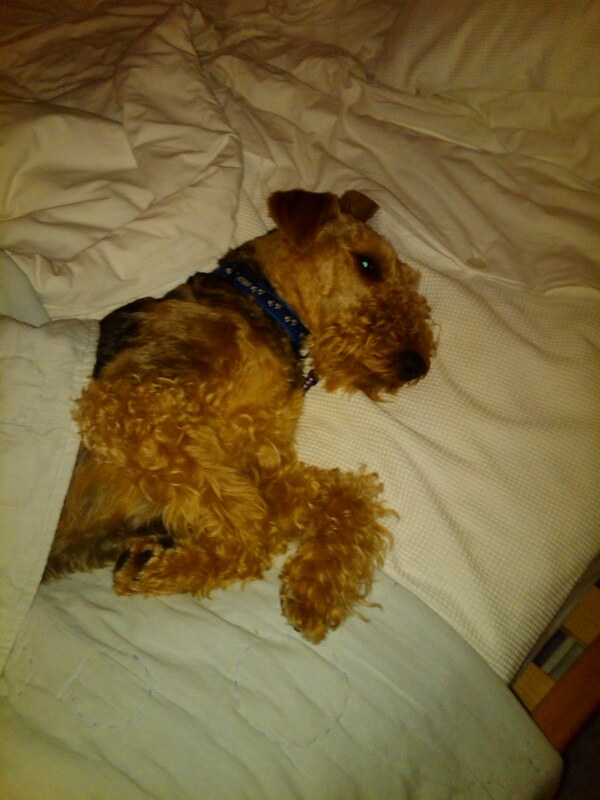 I did point out that although he has now finished the exams, there are plenty of jobs to do and he would not be staying in bed until all hours! Fortunately he took it in good part and did say that he would help with anything I need him to do!! What a great son. This starts tomorrow morning, when he can come grocery shopping with me!!!!!! I won’t tell him that just yet though!!! This entry was posted in The Boys on June 16, 2011 by scullybooks. Despite having lots to do I have managed two evenings this week to do some quilting and make progress on my latest quilt. 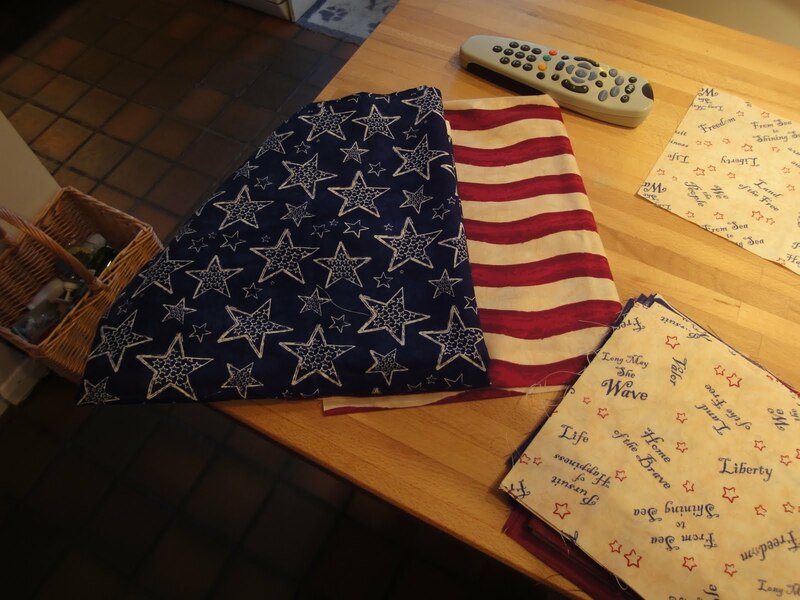 It was a kit I bought whilst we were in The States and have only just got round to doing it. 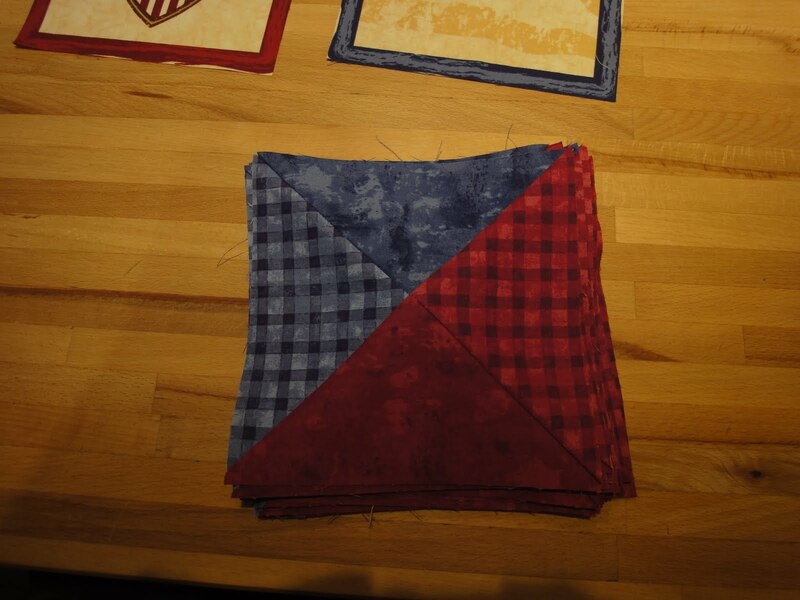 It is nice and simple, which I think is great sometimes in quilting as you can get something done without too much worry! I love the colors in it and the Americana theme. Can’t wait to get it finished. 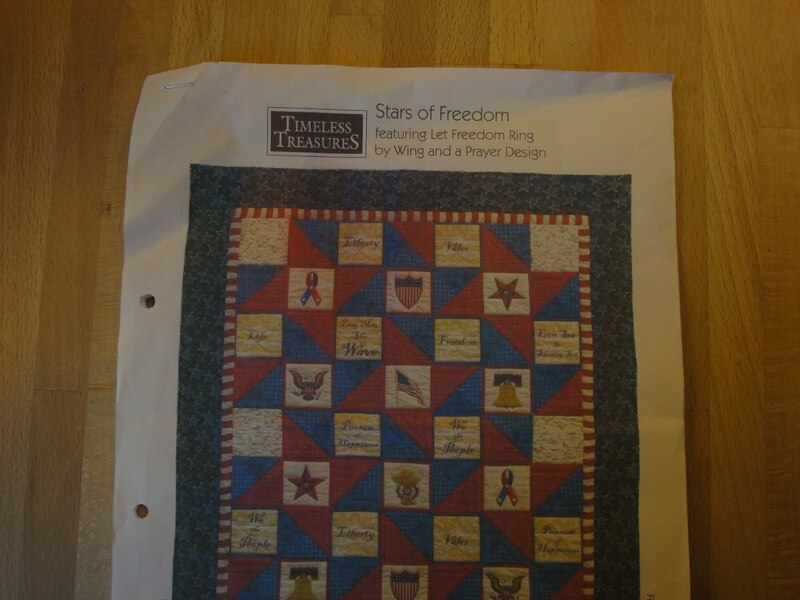 This entry was posted in My Quilting Projects on June 16, 2011 by scullybooks. Today has been one of those days! You know the sort when you have the day all planned out and each hour the plan gets less and the chaos more! I came downstairs to find Treacle looking very sorry for herself and she refused breakfast. Quick call to the vets at 8.30am yes be there by 10.30am. Okay but that means that I have to get Eldest Son to school early as he had a revision session and then exam (in History the subject he wants to do at A-Levels next year – so very important). He, of course, didn’t want to be at school that early – solution he had to walk! At least the weather was warm and sunny today. Visit to the vets, Treacle has an injection (its a bug going around) so injection and tablets and also has an infected paw!! She was looking even sorrier for herself when she left (she loves going to the vets usually!). Work – I really had to get some work done as it had to be in the mail tonight! That done a quick lunch of a bowl of soup and then off to the post office. Yeah all sent off – No! I forgot another piece of mail!!!!! Just in time to get to the Senior School to collect Eldest Son to get back home for Youngest Son coming home! Eldest Son had still not appeared half an hour after exam was due to finish. Back to our village to collect Youngest Son (who didn’t know I was collecting him) to get back to collect Eldest! In the playground three questions about Carnival, one about the Leavers Party and two about the Dog show. Eldest Son rings to say he is out and where am I!!!! Collect Youngest back to Senior School. Up to the Farm Shop to collect bread and eggs, which I had run out of, and a welcome cup of tea! Home to find Treacle had gotten worse. Back in the car and to the Vets. Yes it is definitely this bug going around but she is worse than this morning. Another injection! Home again. Dinner and DH out to another meeting for Carnival and me to get the Youngest into bed. It is now 7.45pm and my feet don’t feel as if they have touched the ground all day!! Do you have days like this? Treacle feeling sorry for herself. This entry was posted in Our Family, The Boys, Treacle's Wednesday Wag! on June 14, 2011 by scullybooks. I have had a terrible time trying to update my blog! I had to wait until DH got home from his business trip to Spain and he had a cup of tea before I asked him to look at the problems. Finally after two days of muttering under his breath and lots of key tapping, I am back!!!!! Things have been getting busy here with Eldest Son still in the middle of his exams and the stress level increasing by each exam and to top it all his bag went missing on Friday last – possible theft by an external candidate who was taking the exam at his school! Would not have been a problem except for his house keys being in the bag! Needless to say there are now three new locks on the all the doors! He only has two more exams next week and he is done. He then has book return day and he will then pick up his Record of Achievement. There will be two days for Sixth Form Induction and two days for Peer Mentor training and he will be done for the summer and have an eight week summer holiday. Youngest Son is now in the chill zone having completed his exams, but we still have lots of things coming up, prize giving, music concert (he will be playing the piano), sports day, leavers concert and finally the party, which I seem to have been landed with organizing! Now how did that happen? We also have Carnival coming up in our Village again, DH is Chairman, and I am running the Fun Dog Show and Scarecrow competition again, as well as providing the teas for the Carnival Queen and Attendants – All 24 of them! Our Swimming Club, DH is Chairman of that too, has got their Open Swimming Competition coming up and also a fund raising event. We are all going to an open air concert raising money for RAF Benevolent Fund, more about that after it happens. It’s my Birthday soon, although I think it will get lost in all the events! 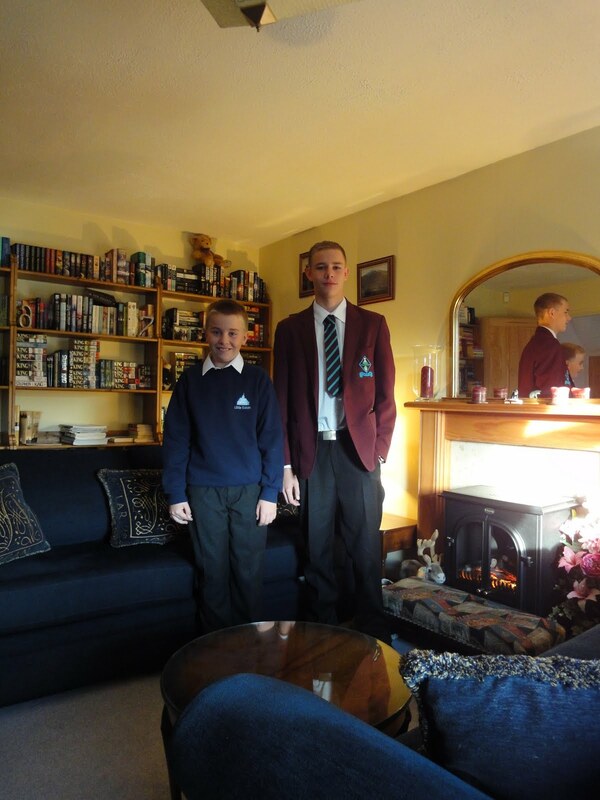 We will be taking the Boys away after they have finished for a special treat (more after the event) as Youngest is finishing Primary School and Eldest is finishing Senior School so really momentous times. It will be nice next year having the Boys at the same school again though. Anyway I have done no quilting, in fact I have started to finish the quilt I cut out three weeks ago and I will post it when finished. 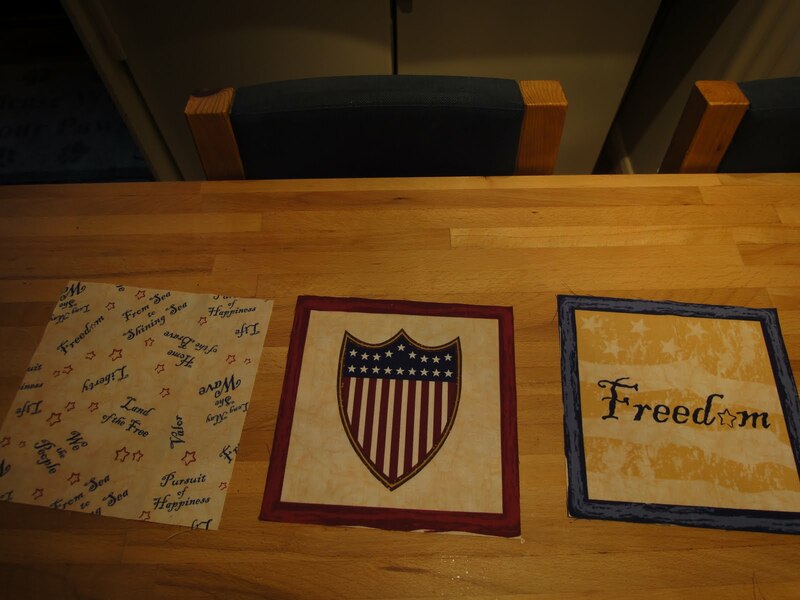 My friend Jayne, whose Birthday is this Sunday, loved the Table Runner I made her, pictures two posts ago. Happy Birthday Jayne! This entry was posted in My Blog, The Boys on June 11, 2011 by scullybooks.